This post is written by Aditi Sharma ( New HSB Contributor) – How to Improve GRE Verbal Score. Most of the Indian students taking GRE score a perfect Quant, the Verbal section gives them jitters!! In this post I will share some tips that helped me score 163 in verbal. Sentence completion: It consists of a single sentence, one blank and six options out of which two correct choices are to be selected. Text Completion: A short passage is given and words are omitted. One to three blanks may be given and one option is to be selected for each blank. No marks are awarded for partially correct answer. So, what is required to master these three forms of question? Of course you need a killer vocabulary along with understanding the author’s perspective and drawing conclusions from it. The first step in starting your verbal preparation is building an amazing vocabulary. The questions asked in GRE contain words which are not used in our common conversations or even our text books! How is can an average student supposed to know the meaning of words like curmudgeon, excoriation, peccadillo etc etc etc….? If you are a lazy person like me who would rather watch the movie than read the novel, you better start learning the word list. The barrons word list (the one with 3500 words) is what I am talking about. I know its sounds crazy. Learning 3500 words? She must be nuts! Well I am not asking you to simply gulp down the whole word list. Relax. But yes the more words you’ll know, the better you‘ll score in verbal! Ok tell me, how on earth are you supposed to answer the questions or fill up a blank if you don’t know the meaning of the word! In medium to hard questions, you’ll find about 4-5 words per sentence whose meaning you wouldn’t know, unless you have gone through the word list. You can find the word list in Barron’s old book (18th edition) however I fail to understand why the word list is not given in Barron’s New GRE (19th edition). You need the word list to prepare for verbal. Period. Now, the question comes how to learn the words. Well, there are many ways – Flash cards, word root method, Pictionary or simply mugging up. I will explain these in detail in another post. Once you understand the meaning of words, you can string a sentence and infer meaning out of it. This can be developed with practice. Do your word list and alongside practice GRE questions from standard books like Barron’s, Kaplan, Princeton, ETS official guide. All these are well known books. The more you practice the better you’ll get. You will be able to understand how a word is used in a sentence because many words have quite different meanings in different context. I know it all sounds absurd but you’ll know once you start to practice. Reading passages are drawn from many different disciplines. Trust me they can pick up material from anything under the sun! Passages can be about biological sciences, History of music in US , the American culture, arts, humanities, famous personalities anything! Do not be discouraged. Every bit of information required to answer the questions is there in the paragraph, you just have to see it. You are not expected to rely on any outside knowledge. The best way to prepare is to expose yourself to variety of topics. Read Scientific American, New York Times, The Hindu. Read articles even if you find them boring. How to Improve Reading Speed. Another small tip here– read everything online because the Final test will be on the computer screen. You must be comfortable reading on the screen. Most of the people prepare through books. Even I used to keep a pencil in my hand and just go though the passage underlining important info in between. Avoid it. These are the basic things you must follow to crack the verbal section. I prepared for about 3 months and scored 163. Please let me know if you want me to write anything else related to GRE prep. Rubbish article from someone who scored 163 supposedly on the GRE verbal. Standard advice peddled here. Nothing concrete. Read newspapers and articles doh. Barrons word lists – yeah nothing new. RCs are real time killers. For each of the question an additional glance/read to/on the passage is required. Any suggestions to speed up? hey aditi I am a fall 14 aspirant ,applying for masters in computer science.I’d like to know more about the coaching centers.will they gonna help me in any way to crack GRE.did you take any classes or you just did it by yourself? are the words of 1100 book available in 3500 book? if i finished 1100 ,it is important to have a look on 3500 ? I have been scoring pretty decently on Manhattan and Barron tests but found ETS official material quite hard in comparison(specially the RCs). What do you think best reflects the difficulty of what we see in the real GRE? Also: How to bridge the gap if the content we are practicing on is not as hard as what we get to see in the real exam? RCs in the new pattern are tough. ETS material is closest to actual GRE. Take test from Powerprep after good amount of practice from other materials. Any material you would specifically suggest fo practicing RCs other than the Powerprep? I’m also the one who is revolving around the GRE for past two months but I got 144 in the verbal section and I toughly remembered 1500 words but the problem comes here. am lacking in RC’s so suggest me one the best method to do RC’s so that I can give my best shot for the next test.Please help me dude. There are no shortcuts really. Learn words and Do as many RCs as you can. Totally depends on your interest. Nobody but you can answer it. If you are interested in research, a lot of research in going on in Biotech n biomedical fields in US. You can visit any university website and see. Yeah I am not lazy but somehow the admin thinks I am. ha ha , kidding. Its just a catchy title. For memorizing you can use root method. Pictionary (GRE picture dictionary) is another fun way. I don’t think you are, but had to come-up with catchy title and you had a clue within the content. Great post. My GRE exam is in 25 days n my verbal score is horrible after taking practice test. Hardly getting 6-7 questions right. M still terrifed please help…..
do the high frequency Word list and practice questions. my GRE is on Oct 25th, and i memorised around 4000 words in the last 2 months but i have not practised any RCs or sentence completion questions yet. So would I be able to tackle that easily in one month, how many hours did u spend doing verbal everyday?? Now that you know the words practice as much as you can and keep revising the words from time to time. I paid more attention to verbal than quant. about 3-4 hours verbal and 1 hr quant. were you able to grasp those 3500 words in 2 to 3 months.it difficult task remembering those words. I was not able to do 3500 words but yes about 3000 should not be a problem. You can try different methods like flash cards. yes tips to build vocublary specially memorising the huge word list. Thats is kinda tedious task i found. I am Trying using mnemonics. But most of them are getting mixed. Specially usage poing of view Any tips for that? And tell me is there any questions of critical reasoning are coming as like gmat? Its tedious but worth it. Keep going and revising words from time to time. 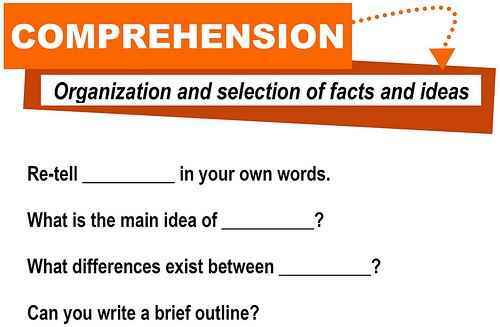 Only three type of questions are asked in GRE – RCs, Text Completion and sentence equivalence.